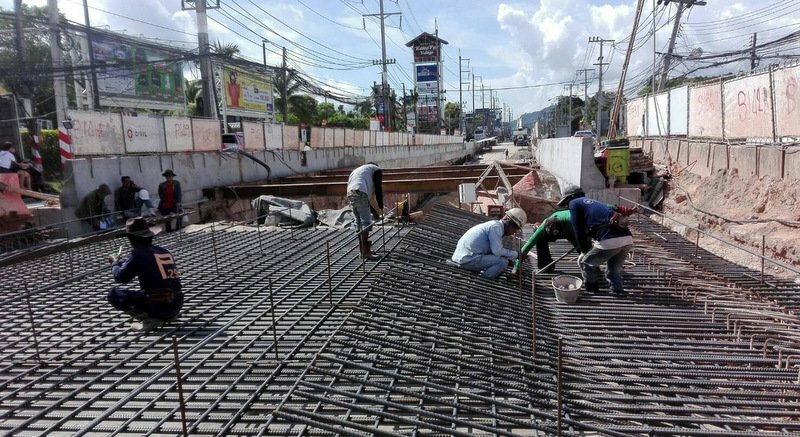 PHUKET: Motorists will no longer be able to make turns at Chalong Circle starting early next month while workers continue their excavation of the Chalong Underpass under the busy five-way intersection. Somkiet Yimpong, Project Manager at the Phuket office of the Highways Department, revealed the news at meeting with Phuket Governor Norraphat Plodthong earlier today (May 22). “We will finish widening the lanes early next month. 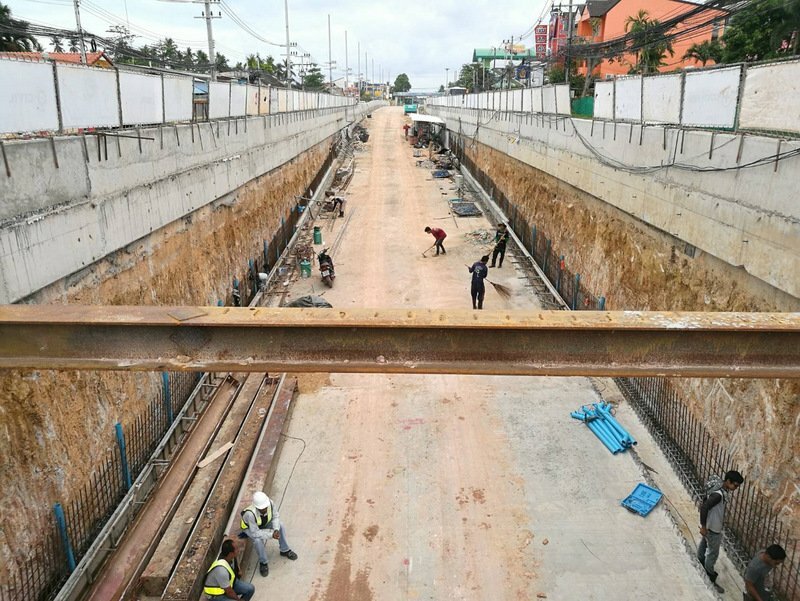 This will make driving past the Chalong Underpass construction site much easier,” said Mr Somkiet. 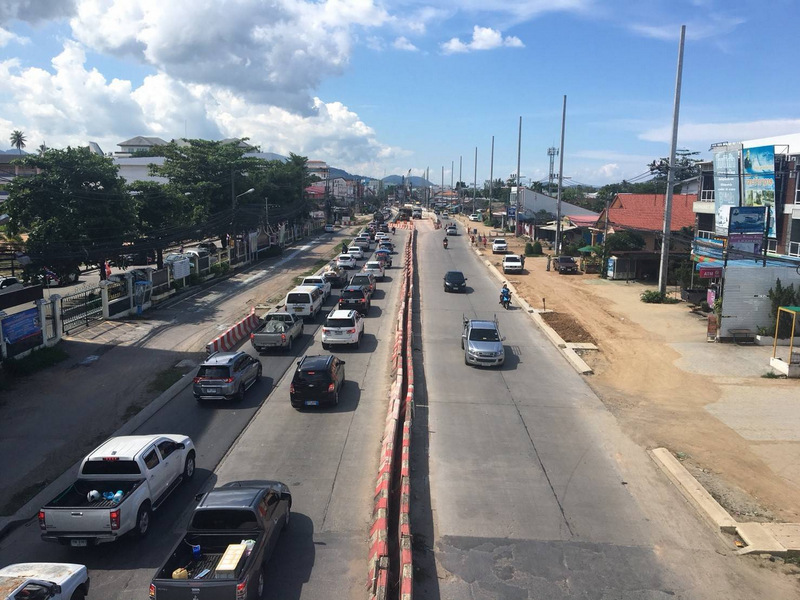 Drivers heading north from Rawai or arriving at Chalong Circle from Kata-Karon on Patak Rd will be able to continue unimpeded straight through onto Chao Fa West Rd. However, those heading north wanting to drive onto Chao Fa East Rd or got to Chalong Pier must first continue along Chao Fa West Rd, drive past the HomePro Village shopping mall and then make a U-turn at Anusorn Rd. From there drivers can head back south and turn left onto Chao Fa East Rd or enter Soi Sunrise to access Chalong Pier. Likewise, motorists heading south along Chao East Rd or Chao Fa West Rd en route to Kata or Karon will have to continue past Chalong Circle and make a U-turn in front of Muang Phuket School in order to head north again so they can left onto Patak Rd. However, Mr Somkiet urged drivers of trucks and buses to not attempt U-turns at the new designated points after the circle is closed to turns. Instead, drivers of northbound heavy vehicles are urged to make their U-turns in front of Wat Chalong, or drive even further north to Kwang Rd, which they can use to switch between the Chao Fa East and Chao Fa West roads. Drivers of southbound heavy vehicles are urged to continue south along Wiset Rd and make a U-turn in front of Soi Suksan 1. “This will help traffic to flow more. 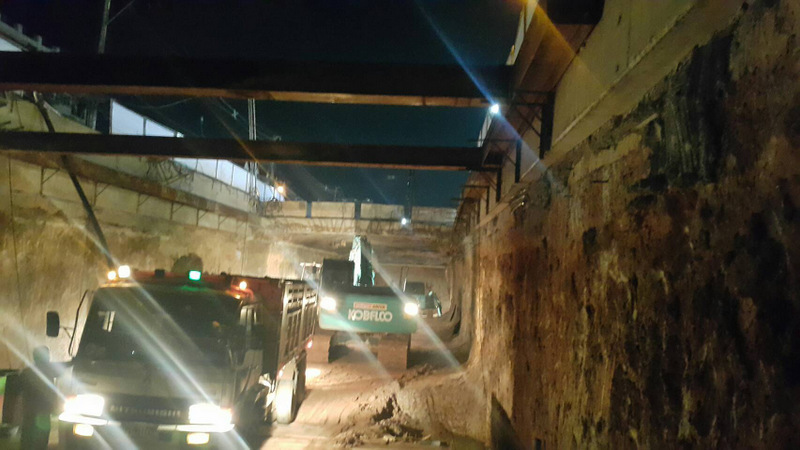 We understand traffic there, so everything is being done according to process,” Mr Somkiet said. 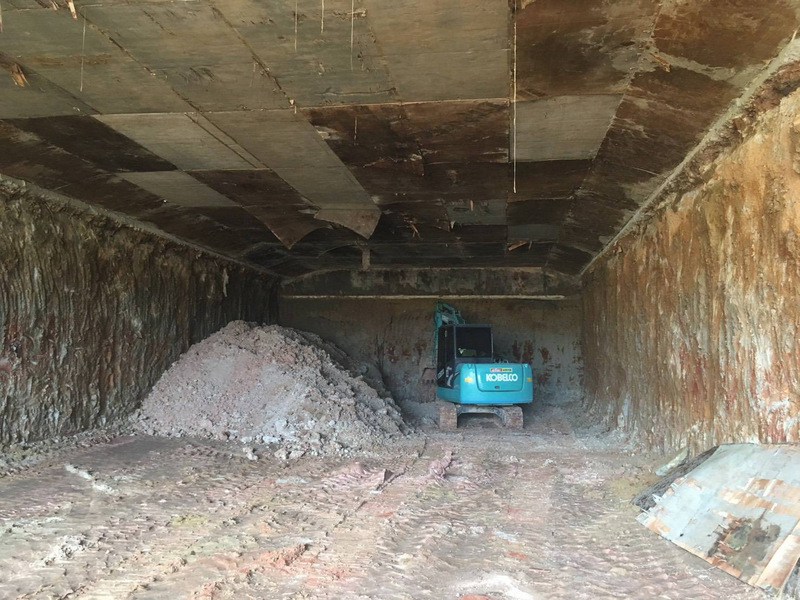 “Now we are in the process of making the underpass roof, ground and concrete walls. Everything is going to plan right now,” Mr Somkiet said. 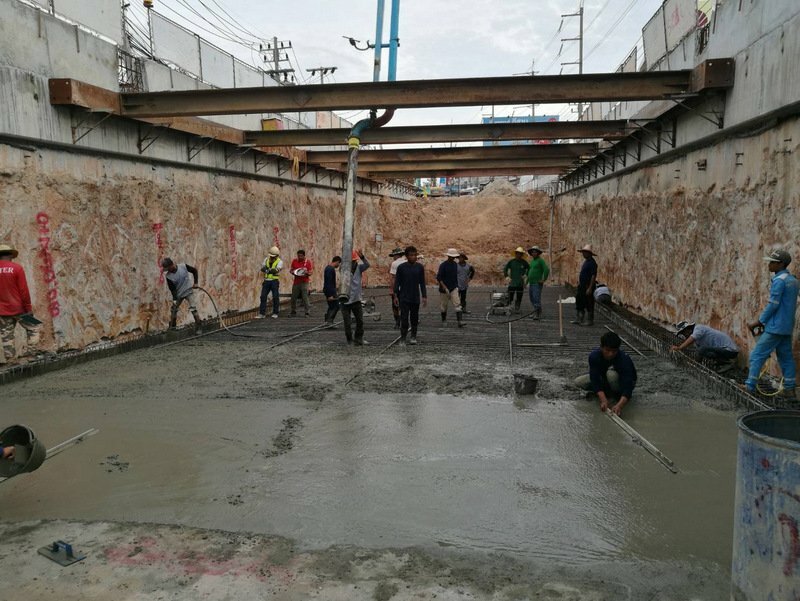 How many workers are on the Chalong Underpass construction? And why they only work office hours on such a project? I am going though the chalong circle very offen. 1. Widening the road where ? it cant be done on any of the roads, some places can be done, but this is more than 200 meters from the circle. 2. The flooring/asphalt should have been done before they start using the road. They didn have a change to do that earlier because the electric and drain system wasnt finish. This will be the best and most expensive fishing pond in Asia. Then be ready with the fishing gear in spring 2024. Hope you all start to work 24/7 from now. The first few years are 45% and the last one year is 65%? Lost for words,  except one:-   DISASTER  ! 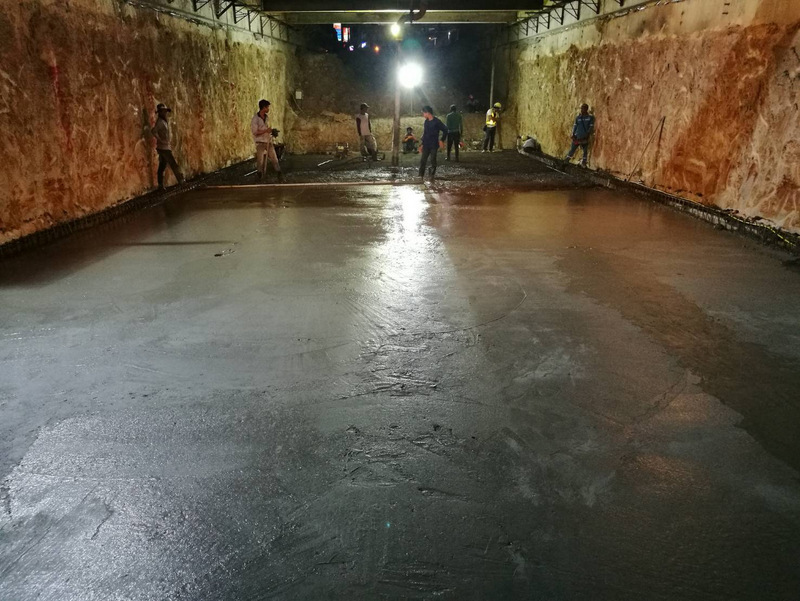 Shame on Phuket, shame on the authorities, and shame on those in authority who insisted on having an underpass on the grounds that a flyover would ruin the beauty of the area. Well, I see great beauty in all those lovely power poles and ever-increasing power lines along Chaofa West and Viset Road. God help Chalong in the coming months. It makes a lot more sense this way, and obviously they had to widen the roads to make it possible, but they could have just done this in the first place and not worried about digging the underpass at all. Now it's exactly the same as the Heroines monument and that works just fine (by local standards anyway). No need for 5 years of carnage or so many millions of tax payers Baht. And I'm sure those heavy vehicles and busses will follow the plan and not uturn where the other traffic will, yeah right! the whole area is a disaster zone now they expect all motorists to uturn back at one point, now that'll be interesting, Thai traffic management at it's best and still 45%.